Robert Laugier: "I saw John twice in October 1987, the first time in the Hammersmith Odeon [09 Oct], and the second one, two days later, in the Town & Country Club of Kentish Town. 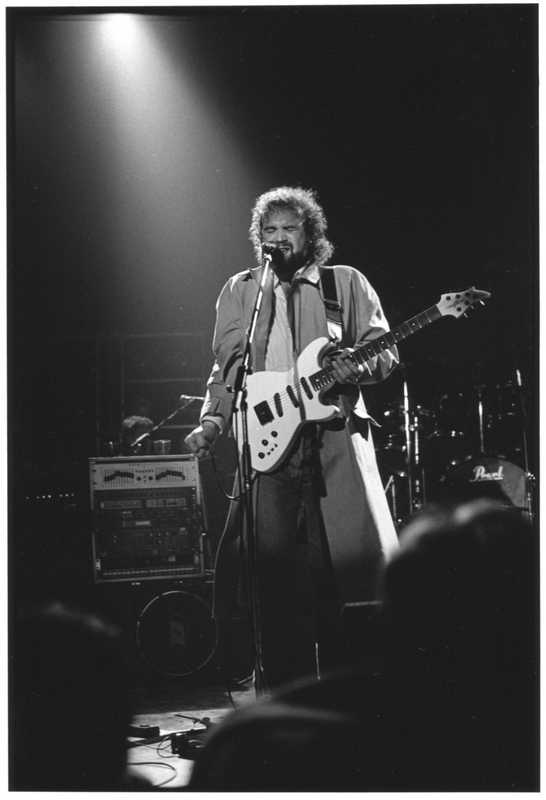 For the first concert, John arrived wearing a raincoat which he kept only during the first song, and then took off. Two days later, he arrived wearing with the same raincoat... but kept it on all concert long! Each time John was lowering a hand, sweat was flowing down the sleeves like a cascade." This picture was used by Voiceprint for the rerelease of the Snooo single but the photograher never got credited. Or paid.